For St Benedict, chanting the Psalms, singing the hymns, praying intercessions, and reading or listening to passages of Scripture and the Fathers — these are not enough in themselves to constitute true prayer. There must be an accord between internal and external when we pray. It is very easy for those of us in liturgical traditions to allow the rituals to become ‘dead’, to become mere rote activity, for our minds to wander, for our hearts not to mean what we pray. There have been those (particularly within the charismatic movement) who have sought to move the Church of England away not only from the Book of Common Prayer but the modern liturgies as well, believing that the Holy Spirit is stifled by liturgy. In many churches, what matters most is the inner attitude of the worshippers’ hearts — not whether you are standing, sitting, kneeling. 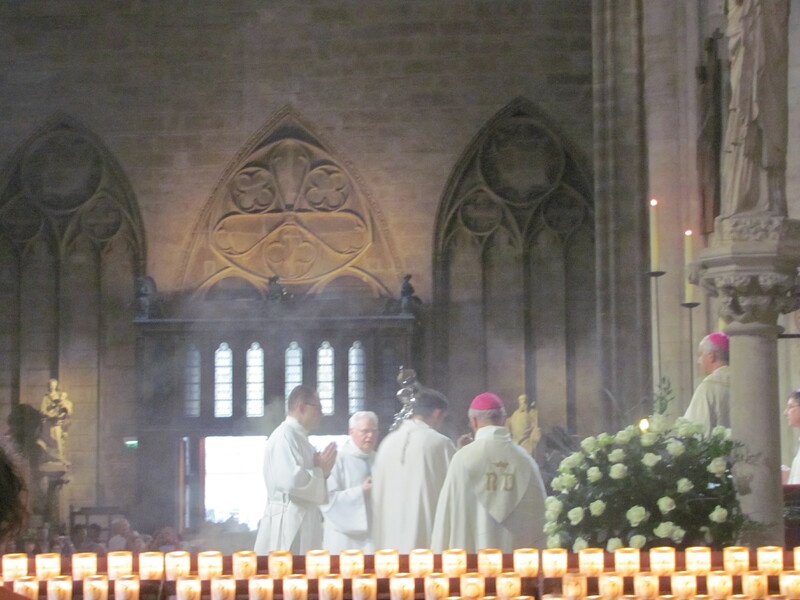 The attitude of the heart is not dependent upon incense and liturgy, nor upon lighting effects and evocative music. It is dependent upon the grace of the Spirit and upon our own cultivation of a quiet heart. True prayer can elude us as easily in the Vineyard as amongst the Anglo-Catholics — and it can come in either place as well. 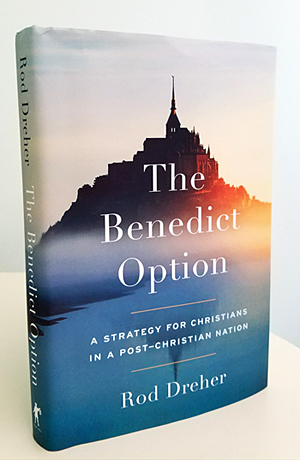 Chapter 5 of The Benedict Option by Rod Dreher is ‘A Church for All Seasons’. In this chapter, Dreher takes on the fact that not only is our culture around us shifting and changing and rejecting Christianity, but our churches are shrinking and have, frankly, something of a limp witness to the Triune God Who made all the things. This chapter is in many ways perfectly in tune with the spirit of St Benedict’s Rule, and some of the recommendations are definitely from the Rule. Others, I think, are simply the way pre-modern Christians did things. I don’t think they are special to Benedict, and sometimes he wouldn’t even have thought there was a question about doing church this way. The sub-headings are: ‘Rediscover the Past’, ‘Recover Liturgical Worship’, ‘Tighten Church Discipline’, ‘Evangelize with Goodness and Beauty’, ‘Embrace Exile and the Possibility of Martyrdom’. He doesn’t actually argue that any living American Christian is going to be martyred, but he does recommend preaching, teaching, and living the path of suffering in our churches rather than self-fulfillment. I am broadly in agreement with all of this. It’s basically what this entire blog is about. By rooting ourselves in the Great Tradition, by seeking beauty and God wherever we can, by learning the history of theology, by singing old hymns and praying old prayers and engaging in ancient disciplines, we forge an identity that is connected to that of our forebears in the faith and radically different from the world around us. Last week, a friend and I were talking about how we need to communicate historic Christian truth afresh to each generation. For the Roman Catholic to say, ‘Ah, we have St Thomas for that,’ simply isn’t enough. Yes, read St Thomas Aquinas. Get filled up with him. And then express him, urgently, beautifully, winsomely, in a way that will communicate the best of Scholastic theology for today’s Christian. I admit to being the sort of person who thinks, ‘Well, the best book about the Council of Chalcedon is the translation of the acts by Richard Price and Michael Gaddis.’ I mean, it is — but what normal Christian is going to put up with three volumes of arguing bishops? Better even a 6-page pamphlet that someone will actually read and which gives Leo in a nutshell, Cyril in a nutshell, who Eutyches was, why Nestorianism was rejected, who dissented the results of the council and why as far as the life of the local church and normal human Christian is concerned. Of course, of course, of course — we should challenge our brothers and sisters to read, if not conciliar acta, at least books like St Augustine’s City of God or an abridgement of St Thomas Aquinas’ Summa Theologiae or St Athanasius On the Incarnation or the Rule of St Benedict or Evagrius Ponticus’ Chapters on Prayer or Bellarmine/Luther/Lancelot Andrewes/Calvin (depending on your tradition). But perhaps we academics should also help the local church get plugged into the Great Tradition, through book studies or lectures or our own writings or, I dunno, blogs? Anyway, rooting ourselves in the tradition through beautiful worship and rich theology and the pursuit of holiness will help keep us moored in the midst of liquid modernity. Beauty is not an added extra in our lives. In all sorts of areas, beauty enhances life, whether it is a walk by a river, a trip to a cathedral, a gaze upon your (own) wife. Or poetry, or rhythmic prose, or a well-cut suit. Or Beethoven, Bach, Brahms, Berlioz, Byrd, the Beatles. Beauty is an attribute of God. We are taught this. We are told, ‘Look at the world around you — rainbows, clouds, the stars at night, flowers, the South Pole of Jupiter, the Aurora Borealis.’ God is the Creator, and all creations reflect, to some degree, their creators. 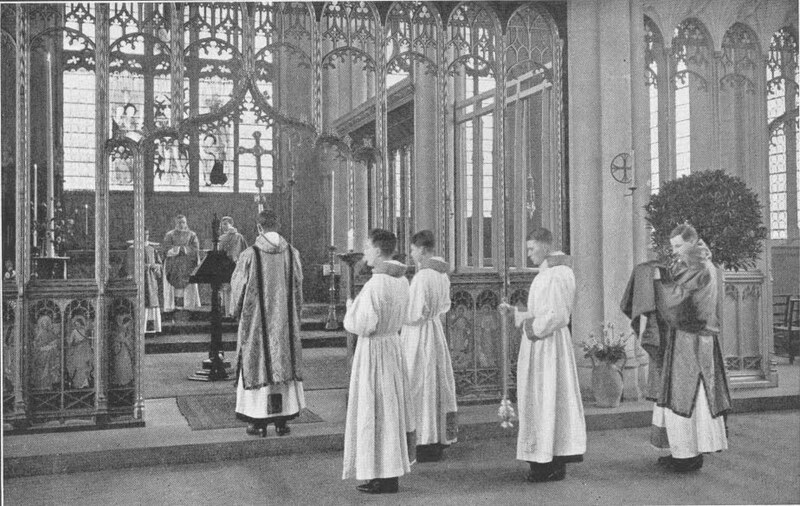 Beauty is another reason, besides the three linked to at the end, that I tend towards liturgical worship. It nourishes my soul. 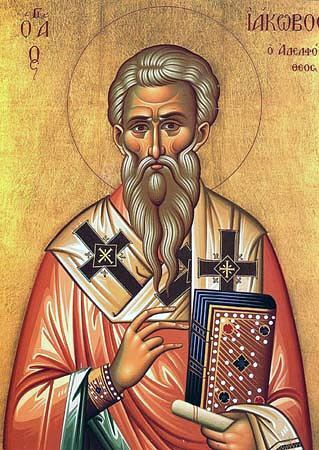 I wanted to include it in my discussion of ancient Christianity and patristics, but I have to admit that, outside of some of the more beautiful prayers of the Divine Liturgies of St Basil (recently discussed here) and St John Chrysostom as well as of the Gelasian and Leonine Sacramentaries, my study of ancient religion has not had that much influence in terms of my philosophy or love of beauty. Nonetheless, my deep-seated appreciation for historic liturgy and beauty in our approach to God has more to do with mediaeval, Byzantine/Orthodox, and ‘Early Modern’ Christianity. First came the Book of Common Prayer; from ages 19-21, I found this book impossible to pray with at Sunday services. It was all lip-service for me. But when I was 21, I used Canadian 1962 Compline daily in Lent, and this re-shifted and re-shaped me. And — it was beautiful. That Advent, I went to a high Tridentine Use Latin Mass at St Clement’s Church in Ottawa. This had a profound effect on me, and it is still difficult for me to put into words. Here I saw the worship of God in a way very different from the mix of pop music and modern liturgy I had been raised in and devoted to. It was an elegant, reverent dance. It seem that here was a way of approaching God that truly took into account his majesty. And — it was beautiful. Then, the next September, I found myself in Cyprus. 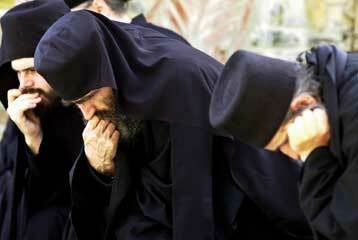 Icons, incense, Greek chanting. Not always actually to my aesthetic taste. But drawing me in over and over again to this day — I cannot help but find it attractive. Rich, powerful, involving all my senses. And, today, I find — it is beautiful. 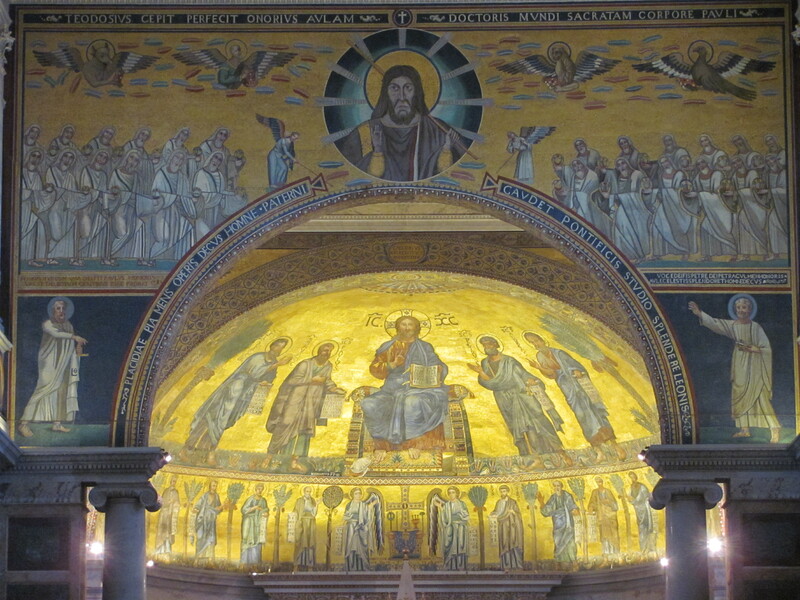 I visited the Basilica San Marco in Venice, and the mosaics stopped me dead in my tracks. ‘Glory be to God,’ slipped from my lips. I crossed myself. I can never be Truly Reformed. Lush medieval mosaics, delicate Byzantine icons, rich Victorian stained glass. Well — it is beautiful. Architecture as well: Durham Cathedral, St Paul’s in London, San Pietro in Vaticano, Santa Mario Maggiore — beautiful. Running around throughout this, I find myself confronted with the beauty of John Donne’s poetry, the 1611 Bible’s prose, the BCP again and again. I am caught by the beauty beyond Christianity in my beloved Virgil and Ovid. 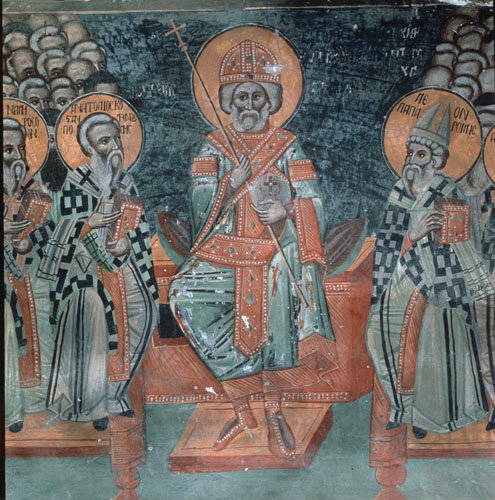 And then I circle back to the elegant arguments of St Anselm and the theology of St Gregory Palamas which, if I do not always agree with it, is at least beautiful. We worship a beautiful God, and we have centuries of rich resources of beauty at our fingertips. Taken together with all the other things I have been saying about liturgy on this blog, why would we cast it aside in favour of un-beautiful forms of worship?